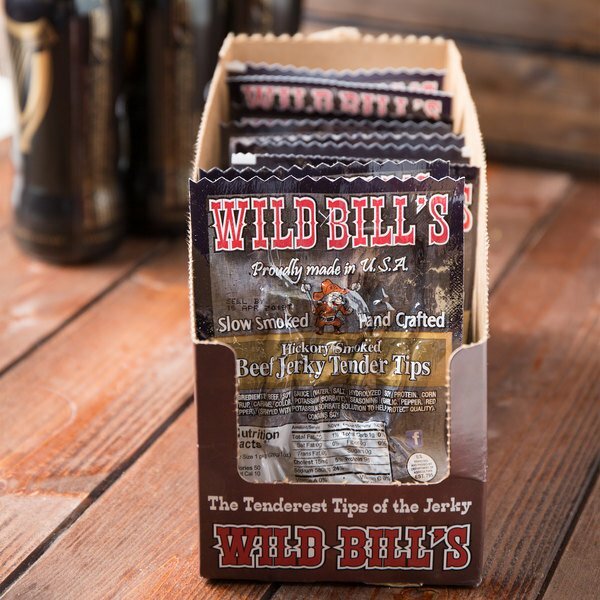 Serve up a savory snack with this Wild Bill's 1 oz. hickory smoked tender tips beef jerky. Premium top round beef is marinated in soy sauce, garlic, and pepper before being slow smoked to perfection to get an authentic smoky flavor that tastes like it came straight from the smokehouse! 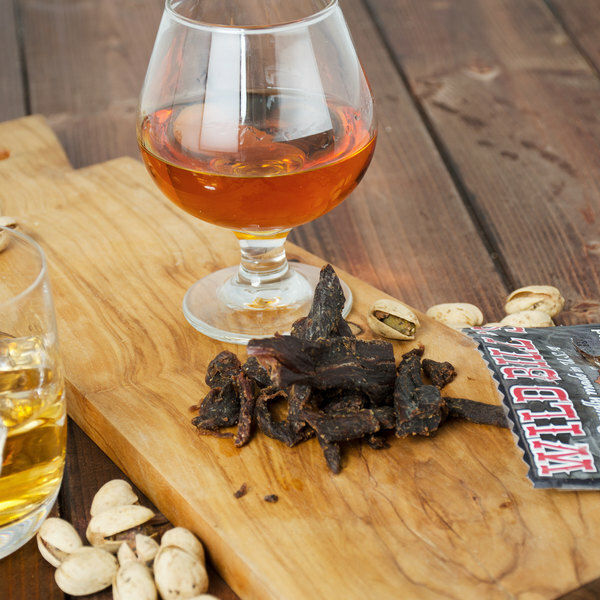 These tips have been hand crafted and formed into small-bite sized pieces for a quick snack packed full of flavor. 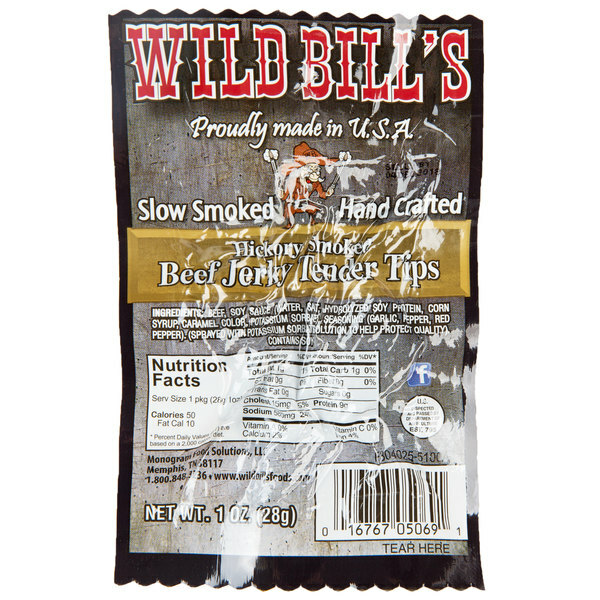 Additionally, the 100% U.S. beef that's used to make this jerky is packed with protein. Your guests will love the smoky hickory taste that began as a local favorite in Pennsylvania Dutch country. 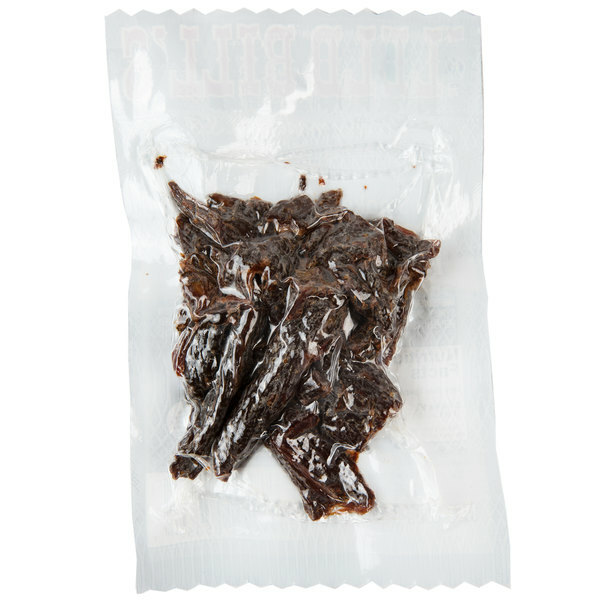 Each package of beef jerky comes in a vacuum-sealed bag to help keep your beef jerky fresh. The durable packing is perfect for showcasing by cash registers to promote impulse buys, or in store aisles. Furthermore, this packaging is perfect for customers on the go by allowing an easy to grab size that can be put in a backpack, car, or gym bag. Wild Bill's had a small beginning as a local butcher shop selling a wide variety of meat products in 1955. Their premium jerky and other meat snacks did not come around until 1983, but they soon became a local favorite. 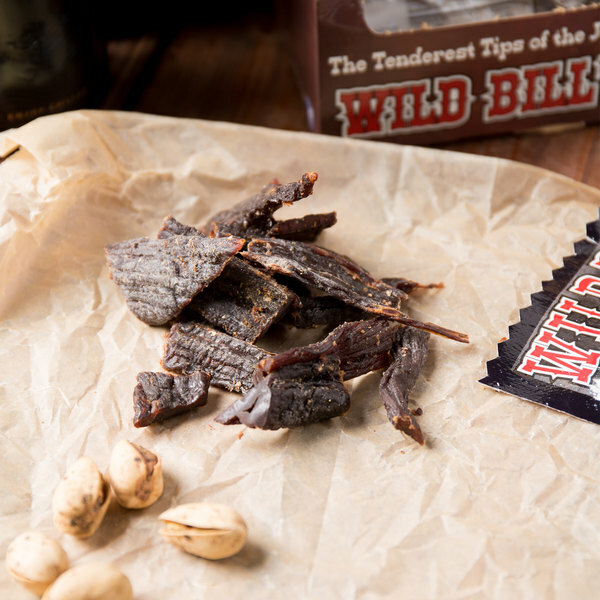 They spread all across the northeastern part of the United States, from the wide expanse of the Appalachian mountain range to the Atlantic coast, selling their jerky to convenience shops and grocery stores. 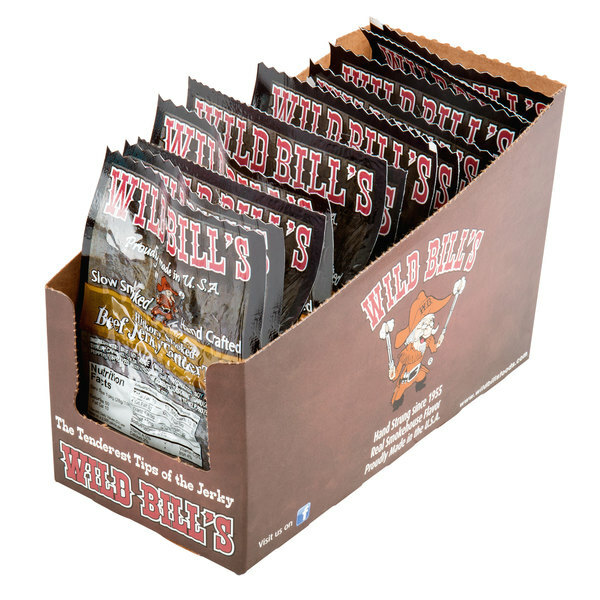 You can add Wild Bill's products to your concession stand, snack station, or store with confidence in their high quality and exceptional flavor. I love this beef jerky. each piece is very yummy and also tender. Each packet comes with 1 oz which is perfect to snack on.